Boost hair shine with the award-winning Ogario London Revive and Shine Conditioner, which smooths and detangles without weighing hair down, suitable for all hair types. The gentle formula harnesses powerful natural actives of hibiscus to nourish the hair and horsetail to condition, for hair that radiates with health. 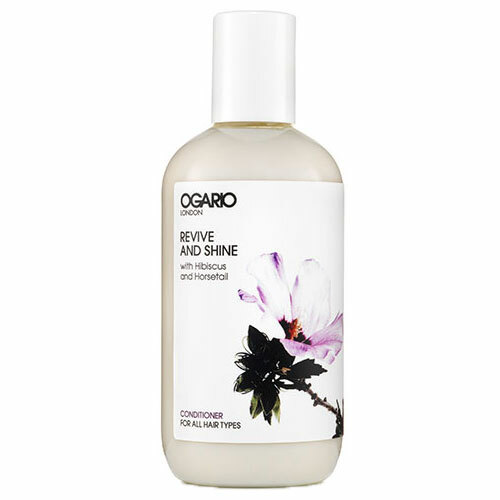 Below are reviews of Ogario Revive and Shine Conditioner - 250ml by bodykind customers. If you have tried this product we'd love to hear what you think so please leave a review. Boost hair shine with the award-winning Ogario London Revive and Shine Conditioner, which smooths and detangles without weighing hair down, suitable for all hair types.